To be able to feel natural in front of the camera starts with feeling comfortable with yourself. 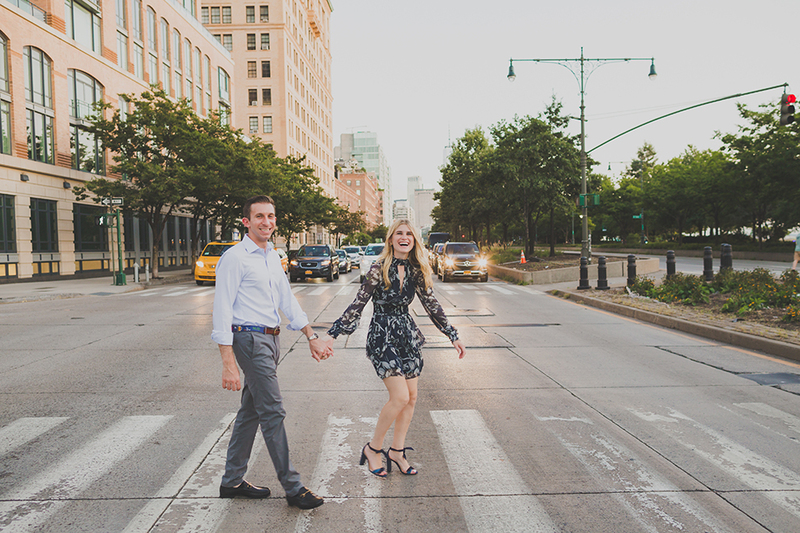 For your engagement shoot, pick an outfit that makes you feel like you. Don’t force yourself to conform to an attire that you would never normally wear and then spend the day uncomfortable, fidgety and self-conscious. Remember that photos are a reflection of you – choose a style that will make you feel confident and beautiful. The same goes for hair and makeup. If you like a minimal makeup look, wear the same on your photo shoot with small attention to the facial features that you want to shine. Likewise, if you’re one to rock a bold lip and a flair for fashion – go for it! The location in which you choose for your engagement shoot (or wedding!) plays a big part in how natural you and your partner will feel. 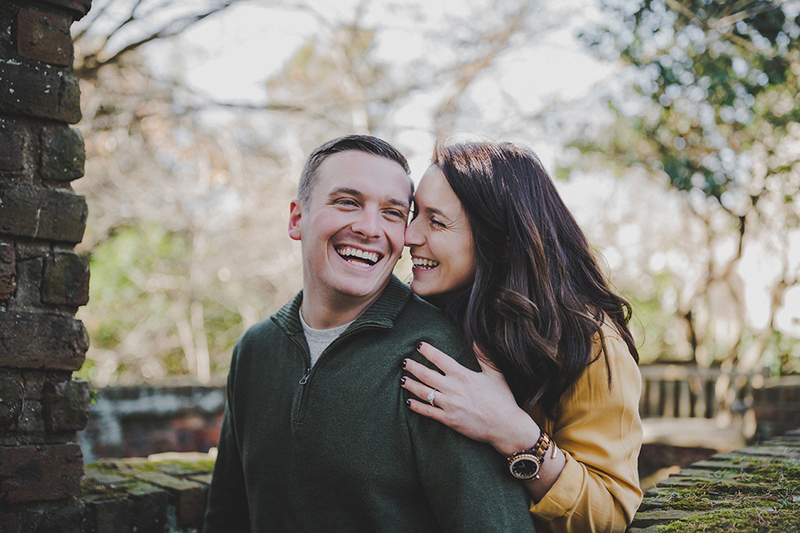 This is especially pertinent for your engagement shoot. If you’re the sort to thrive off of excitement and energy, go with a setting of that nature. If you’re a quiet introverted sort, find a place where you and your partner can feel relaxed and not worn out by the busyness of your environment. Incorporate something that interests the two of you. Whether it be location, props, a beloved pet – find something that can show your mutual love. Being in a place that holds sentimental value can help you two feel comfortable and natural. Perhaps return to where you had your first date, where your partner proposed or any other setting of fond importance. Standing stationary and statuesque is not only uncomfortable but can often be seen in your photos. Engage with your environment: take a stroll along the city streets or a trail through the park, take interest in what’s around you as you would normally. These physical movements that come naturally will remove any overthinking of Where do I put my hand?, How do I fold my arms?, Am I smiling too much? Your natural reactions to each other will be captured in time and serve as beautiful memories to recall when you look back on these photos years to come. When you do need to pose, do so in a way that flatters your body. The easiest way is to alternate your weight on one foot; this adds a natural movement to a stationary pose. For women, tilt your hips slightly with one knee bent; by doing this, you will be creating a flattering curve to the line of your body. The alternating weight trick works for men too! A few other tips to remember: ladies, cross your legs at the ankles to elongate your legs; relaxed shoulders lengthen the delicate line of your neck, and loosen the muscles in your jaw for a fresh, genuine smile. 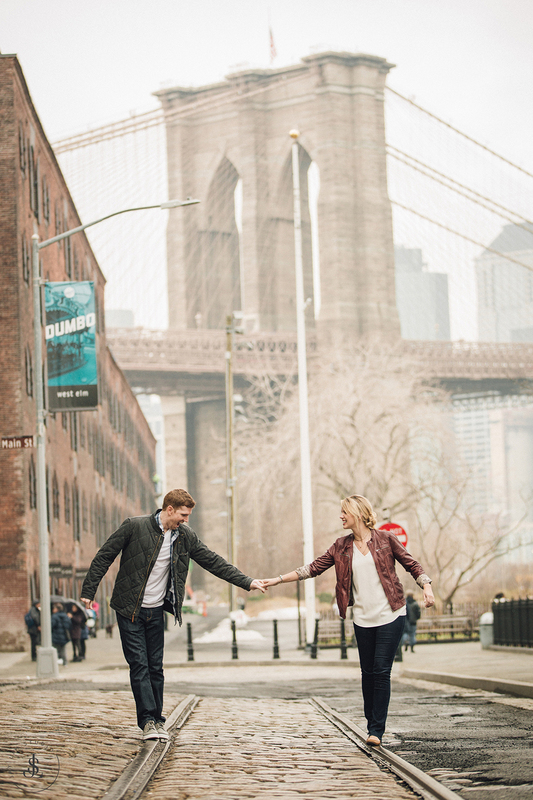 Don’t get so caught up with focusing on your photographer, instead engage with one another. After all, this moment is about the love you two share for one another! Shared embraces, a kiss on the forehead or cheek, fingers linked – interact with one another with natural affection and don’t worry about who is watching. Talk with one another as well. Your natural reactions to each other will be captured in time and serve as beautiful memories to recall when you look back on these photos years to come. And one last tip that may seem contrary to the above – don’t be afraid to step out of your comfort zone! You might discover a side of yourself that you didn’t otherwise know existed.